April 2018 | MME group Inc.
On May 5th, MME group will again participate in Moving Day® Twin Cities, a fundraiser walking event dedicated to organizing families, friends, and communities in the fight against Parkinson’s Disease. 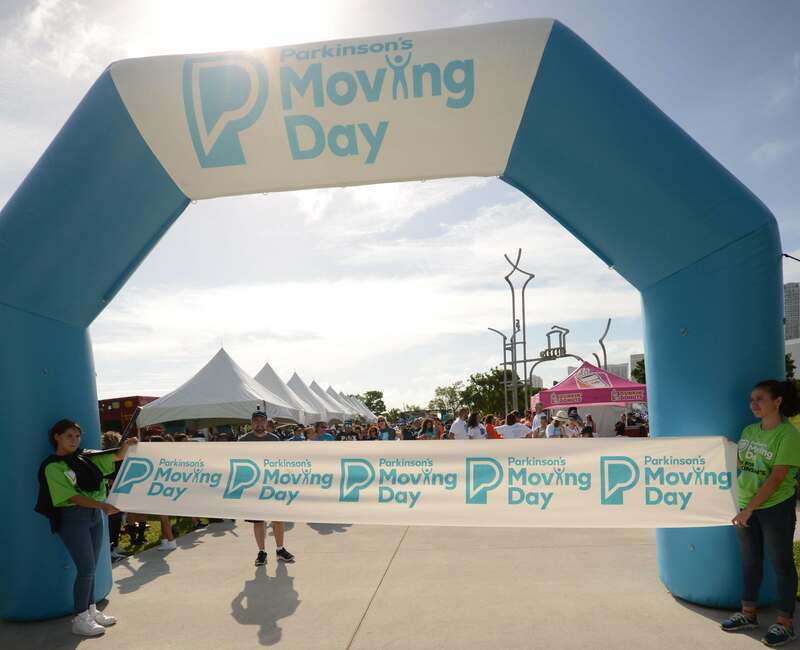 If you would like to join us during this inspirational day, or seek to make a tax deductible donation, please visit our team page on the Moving Day® website. We are proud to announce that MME corporate matches all donations raised. Making a donation on the site is easy, is a wonderful way to show your support, and is greatly appreciated. By benefiting The Parkinson’s Foundation Minnesota Chapter your donation will help improve the care of those affected and further research aimed at finding a cure. Physical movement has been found to delay the effects of Parkinson’s Disease. Moving Day® Twin Cities participants walk in acknowledgement of those benefits and the enduring hope of finding a cure. Please help us spread the word about this exceptionally important event. 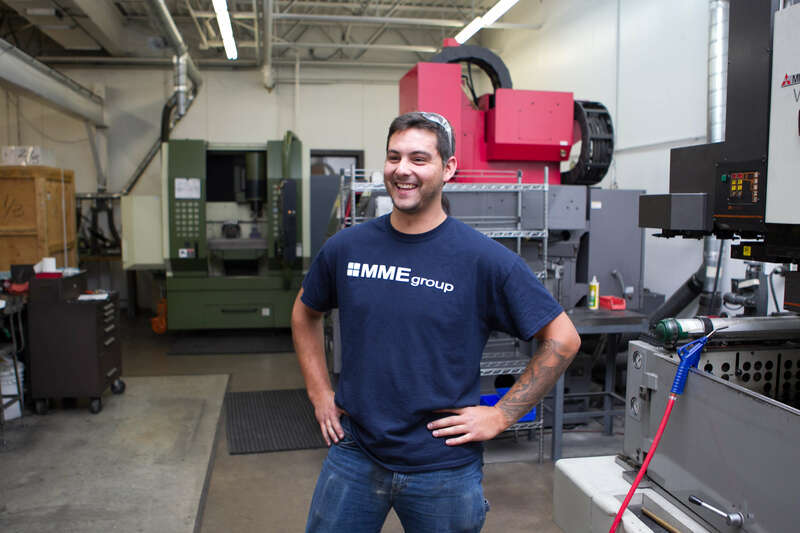 When people talk about millennials in manufacturing, preconceptions abound. They are seen as having a poor work ethic, being in constant need of praise, and possessing no loyalty to their employers. Not only have we found these stereotypes to be divorced from reality, but, far from succumbing to the demands of an entitled generation, we’ve seen firsthand how embracing the expectations of a millennial workforce can help manufacturers succeed. Millennials will make up 35 percent of the global workforce by 2020. Not only that, but millennials aren’t just “kids.” Some are approaching forty. In other words, they can’t and shouldn’t be ignored. To ensure manufacturers have a talented pool of trained professionals to draw from, they need to work to correct outdated misconceptions about the manufacturing industry and ensure they are fostering a culture that is attractive to a generation with a new set of expectations and norms. And, when we talk about millennials’ professional ”expectations” and “norms” it’s important to remember that every generation has had them. These concepts were certainly not invented for today’s young workers. In our experience, when even the smallest amount of skepticism is applied, the stereotypes about millennials quickly unravel. Younger workers are certainly challenging more traditionally-minded employers in their desire to change long-standing practices. Certainly that is true in manufacturing. However, what many modern manufacturers are learning is that the rewards – in recruiting, retention, productivity, and innovation – far outweigh the costs of changing policies. And, when new policies and procedures are implemented, and leadership embraces change, a cultural shift is sure to follow. In a 2017 Gallup poll, millennials were found to desire flexibility when and where they work, seek work with a purpose, hope to speak more frequently with superiors, and display a willingness to change employers when the fit isn’t right (though they were found to value stability). Meeting those expectations head-on means fostering an engaged and innovation-focused workforce where everyone – not just millennials – can grow and thrive. Being connected to everyone and everything at all times is obviously something millennials have embraced throughout their lives. This, more than anything, has upended traditional models of the workplace. The trade-off for millennials raised in the internet age means that, yes, they are willing to be available more often, and from more places, than their predecessors. But in exchange they require flexibility about when and where they work. Some industries have embraced this change and the benefits of an always-connected workforce more rapidly than others. To be sure, in our view, when logistically possible, the trade-offs seem to benefit both employers and employees. However, more traditional industries like manufacturing still – in many cases – are in the process of undergoing this cultural shift. When a company culture embraces the freedoms that technology provides, millennials are incredibly productive, dedicated to a company and their future in it, and are important collaborators throughout the manufacturing process. The drive to find work with purpose is another reason for manufacturers to embrace the expectations of today’s younger workers. When being part of a production team means more than checking a box, and instead involves a team of people invested in helping businesses and individuals succeed, everyone benefits. And, no matter what the role, there’s always room to foster individual talents. When ideas are encouraged from contributors across an organization, not only are valuable insights gained, but those who want and need to feel a sense of purpose understand they have a voice and their talents are being utilized. Despite possessing advanced technologically capabilities and using them to build the world’s most sophisticated products, manufacturers are still seen as outdated by many young entrants to the workforce. Some students do not see engineering and other manufacturing-oriented paths as a modern career choice. This could not be further from the truth. Education and outreach regarding today’s modern manufacturing industry is required – and required early – to ensure an eager young generation of skilled professionals is available to manufacturers. On a micro-level, individual organizations also benefit from these outreach efforts by establishing relationships early for an increasingly frictionless recruiting process. Once an organization sees past the stereotypes and recognizes the incredible strengths this young generation of professionals possess, the next question is, how do you reach them? Even during the recruiting process a company can drive home some of the concepts that millennials expect from employers. At MME group, Inc., for example, we are open to creating unique job descriptions based on an individual candidate’s skills and interests. When desired and appropriate, we let candidates know we see real benefits in catering roles specifically to them. We also recommending extensive outreach to educational institutions to highlight – through real world examples – the benefits of careers in manufacturing, the technological innovations teams take part in, and opportunities for advancement. Finally, reaching millennials where they live – online – can help set manufacturers apart by conveying key aspects of the company culture, the team, and the experience. When we see the dedication our young generation of professionals brings to the table, we can’t help but be bullish on the future of manufacturing. They are a workforce that is raring to go and eager to learn. As more and more manufacturers recognize that the stereotypes about millennials are, in reality, benefits, we can’t wait to see what the future brings. We provide plastic and silicone manufacturing solutions for mechanical assemblies of small to medium-sized products. © 2015 MME group Inc. All rights reserved.